OOTD - So Long Sweet Summer | La Petite Noob | A Toronto-Based Fashion and Lifestyle Blog. Summer is hands down my favourite season, so I always get a little sad when Labour Day rolls around and I know that the summer season is coming to an end. Thankfully for me, I was able to spend my Labour Day weekend in NYC, where it was sunny and hot. Seizing on what would likely be the last time that I'll be able to wear a summer maxi dress, I took this House of Harlow 1960 x Revolve number out for a spin. 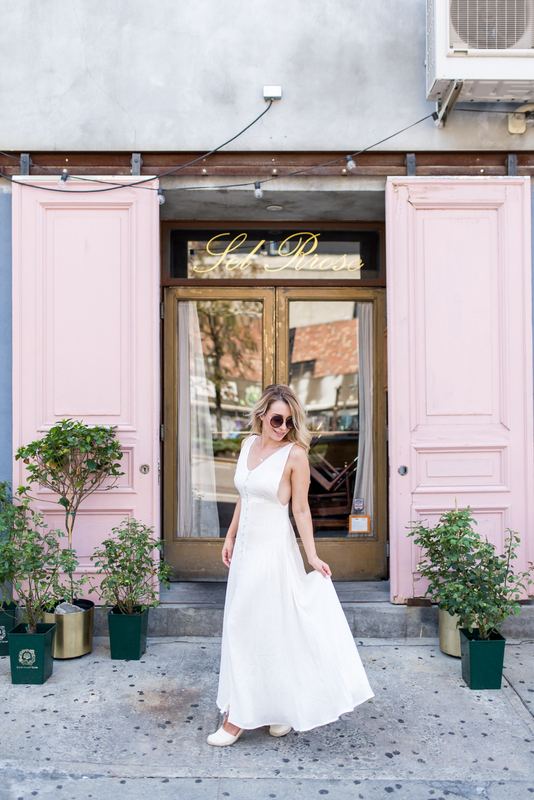 I love how the dress has a delicate gold pattern running throughout, has intricate button work in the front, and how the front slit creates the most beautiful movement when you walk. 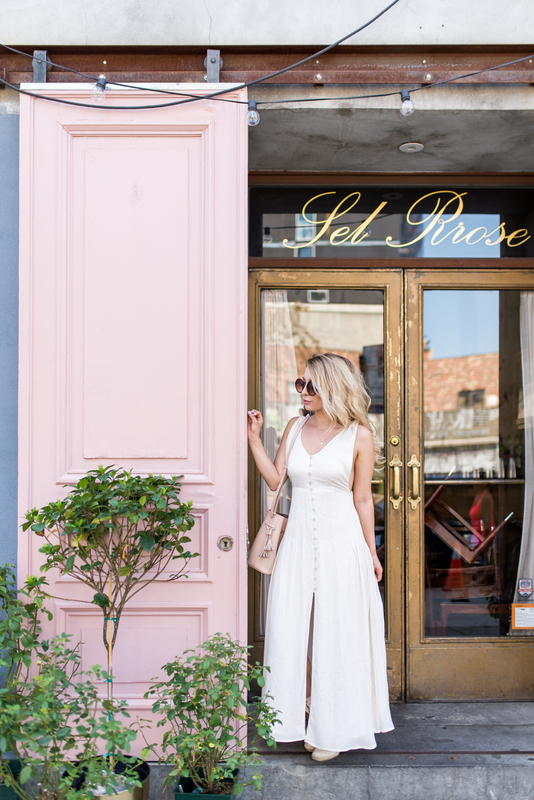 If you're looking for some more last-minute summer dress inspiration, check out some of my favourite brands sold on Revolve - happy shopping! What do you think? Do you love summer as much as I do? What pieces are you trying to get the most out of wearing for these last few weeks of summer? Let me know! Sel Rrose is on my list for next week! What did you have!? And this dress is stunning on you!